Your account password is required to login to your Doteasy Member Zone as well as other administrative functions such as FTP, domain admin email account, and account cPanel. 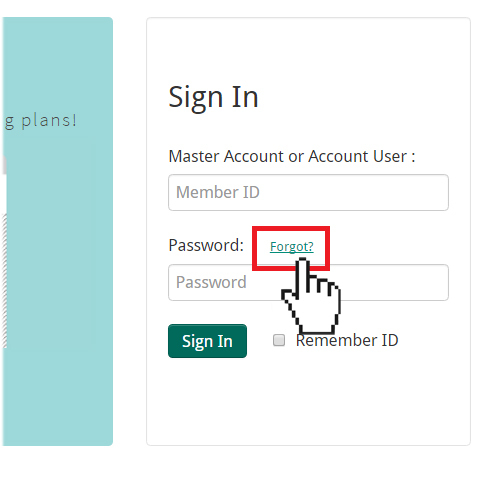 If you have forgotten your account password, you can use the Forgot Password function on the Member Zone login panel and our system will send you an email with a link to reset your password. On the Doteasy homepage, click Member Zone at the top of the page. On the Member Zone login panel, click Forgot? Enter your domain name or Member ID, and click Submit. An email containing a password reset link will be sent to the administrative contact email address on file for your account. Simply click on the reset link in the email. It may take a few minutes for the email to be received in your inbox. If you have not received it, or if the administrative contact email address we have on file is no longer valid, please contact us so that we can help you retrieve your account password and update the contact email address on your account. Click Change Password under Account & Billing Profile. Enter your current password and choose a new password you would like to use. When ready, click Save Changes.